The GIS – CH Electric Chain Hoists are manufactured in Switzerland and offer superior lifting solutions. With its broad range of load capacities, the electric chain hoists can be specified to fit your application. 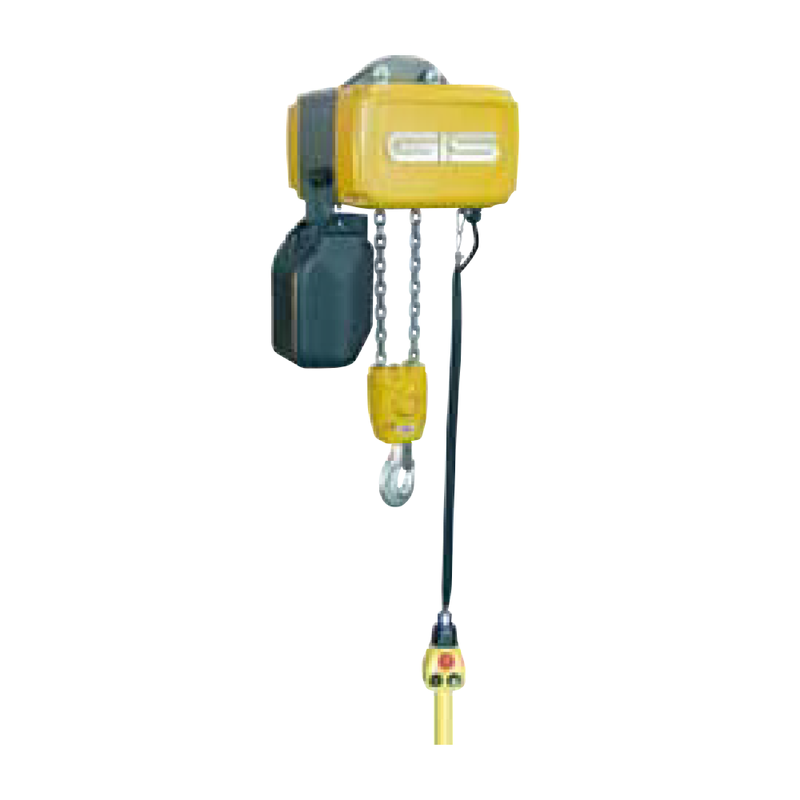 Each GIS Electric Chain Hoist includes special features such as: control switch with E/Stop, low voltage control 42V, upper and lower geared limit switches in addition to overload clutch. Voltage of 3 phases 400V, 50Hz ± 10%. Hoists come standard with 3m lifting height, 1.8m pendant length and eyebolt suspension. These can be adjusted to suit your application.